So what did you expect when you were given more responsibilities? This can’t be God’s desire for me, can it? This is the easy equation many of us make. But it could be wrong. When God chooses to do something new for the world, he chooses people. People who are often put in positions that feel uncomfortable, that feel like it’s not possible to survive. 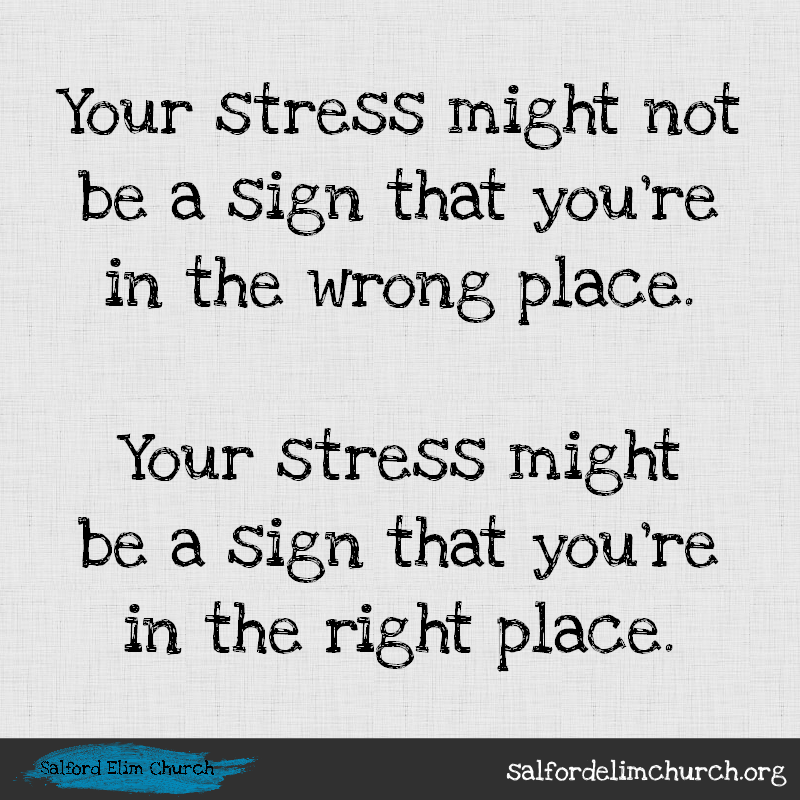 There are lots of ways of thinking about how to handle stress, but the important thing is to recognise that sometimes this stress is the price we pay for the being open to God’s will. The sermon looked at David in 1 Samuel 16 – what were the surprises in this narrative? When Paul wrote to the Corinthian church he saw that they were not, for the most part, the significant members of society – but he wanted the church to see that God had called them precisely because of their lack of power – how does that work out in practice? You might want to read John 13, and see how Jesus acted as a servant leader when he was about to accept the greatest responsibility that would cost him everything. What did he need to be most conscious of? What responsibilities weigh the heaviest on your shoulders? Why? How can you accept them as part of the way God is using you? How do you know when to get out of difficult situations and when to stay? Anoint my creativity, my ideas, my energy so that even my smallest task may bring You honour. May the work that I do and the way I do it bring hope, life, and courage to all that I come in contact with today. And, oh Lord, even in this day’s most stressful moment, may I rest in You. In the name of Jesus.